Soles are made of our famous WANDERLUST EVA soles and arch supports for all day comfort. 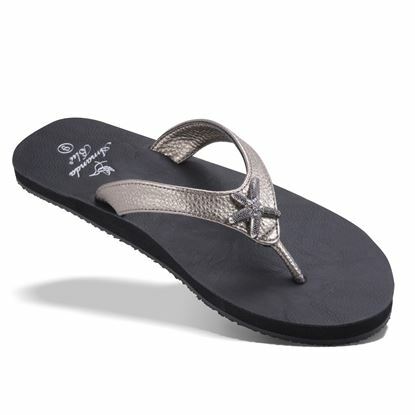 Footbed and uppers are fashioned from soft vegan leather and feature an Amanda Blu® exclusive starfish embellishment with crystals. 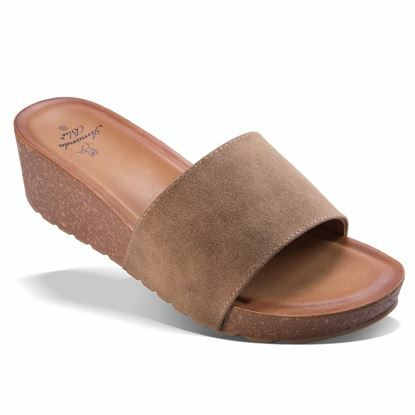 Slides are an important look in summer footwear, and these faux suede slides with corkcovered wedge heels are sure to fit into any casual wardrobe. 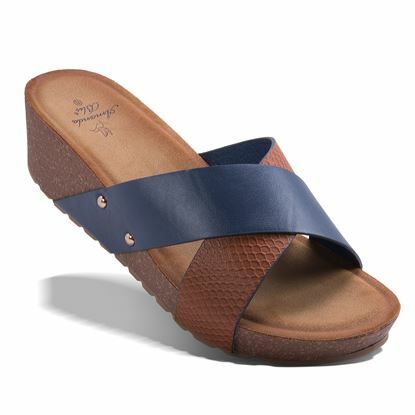 Features a padded footbed and arch support. 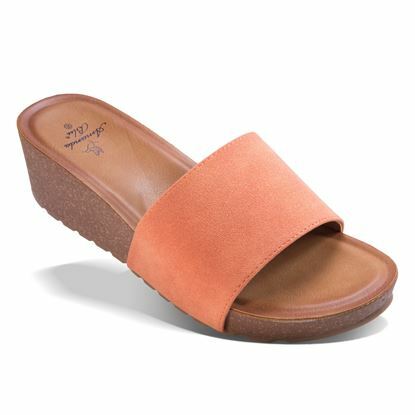 This comfortable summer mule features a cut-out leaf pattern in faux suede and features arch support. 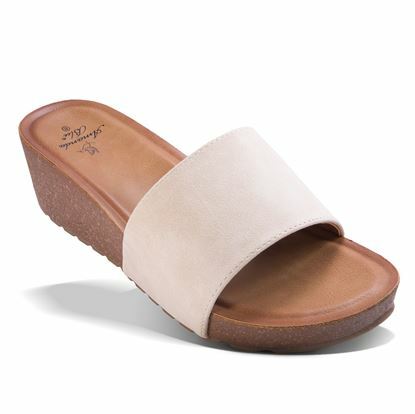 Show off your inner cool girl with these slide sandals. 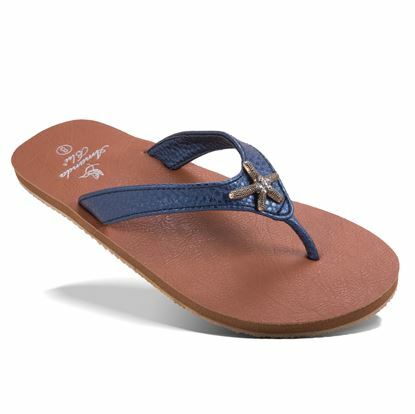 A gleaming metallic band is paired with a molded footebed and no-slip sole for a perfect day at the pool. 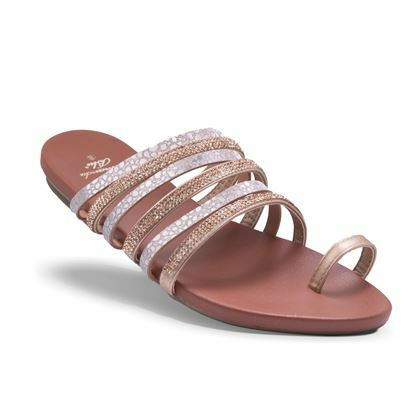 Our strap happy sandal shines in shades of rosegold or gunmetal and features a comfortable, contoured footbed. 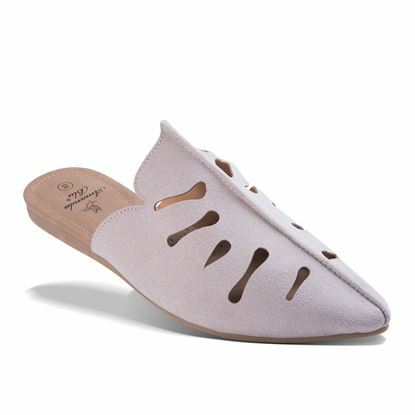 Soles are made of our famous WANDERLUST EVA with arch support for all day comfort. 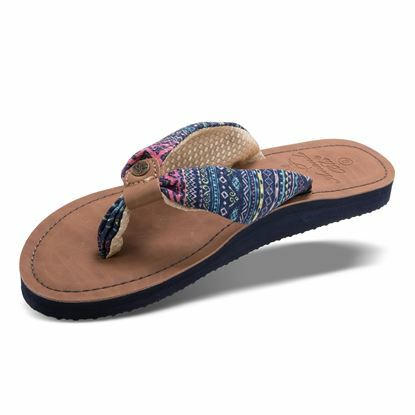 Footbed and uppers are fashioned from soft, metallic vegan leather and feature an Amanda Blu® exclusive sand dollar embellishment. Feeling Tropical? 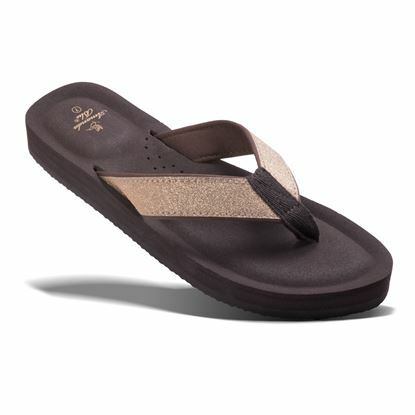 This sandal gives a nod to the ever so popular pineapple motif and features an iridescent soft gold upper and padded footbed with arch support. Summer is all about color-pops! These quilted sandals feature a slight wedge and tropical pineapple embellishment. 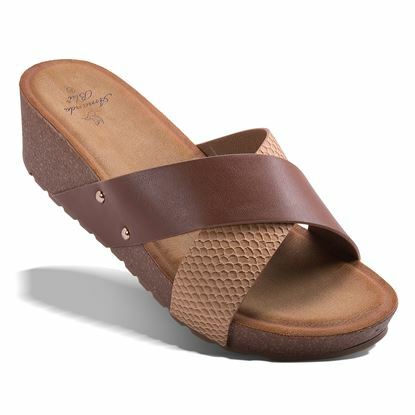 Features an incredibly soft, cushion molded footbed.